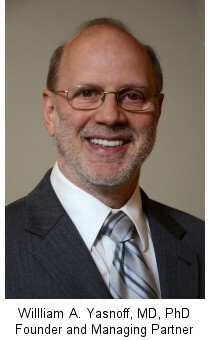 NHII Advisors was founded by William A. Yasnoff, MD, PhD, who serves as Managing Partner. Prior to establishing the firm in early 2005, Dr. Yasnoff served as Senior Advisor, NHII, U.S. Department of Health and Human Services. Beginning in late 2002, he initiated, organized, and developed the HHS activities directed at promoting and encouraging the NHII, which led to an additional $50 million in the President's FY05 budget request and the Presidential creation of the Office of the National Coordinator for Health Information Technology, establishing the NHII as a widely recognized goal for the nation. Dr. Yasnoff organized and served as Program Chair for the first national NHII Conference in 2003, where a consensus action agenda was developed and the Secretary of HHS announced the historic Federal government license agreement for the comprehensive standard medical vocabulary SNOMED. In recognition of his pioneering contributions to the field of public health informatics and the development of the nation's health information infrastructure, he was awarded an honorary DrPH by the University of Louisville in May, 2006. He is an Associate Editor of the Journal of Biomedical Informatics, and the primary author of the chapter on public health informatics and health information infrastructure in the recently published 3rd edition of the textbook Biomedical Informatics: Computer Applications in Healthcare and Medicine. Dr. Yasnoff is also Adjunct Professor of Health Sciences Informatics at Johns Hopkins, Professor (gratis) of Health Management and Systems Sciences at the University of Louisville, and served as a Board Member of the American Medical Informatics Association (AMIA) in 2003-4. Before coming to the Washington, DC, area, Dr. Yasnoff was Associate Director for Science, Public Health Practice Program Office, Centers for Disease Control and Prevention (CDC), where he became well known for his work in public health informatics, including co-editing the textbook Public Health Informatics and Information Systems, and serving as Program Chair of the AMIA 2001 Spring meeting, "Developing a National Agenda for Public Health Informatics." He came to CDC from the Oregon Health Division, where he developed and deployed both a statewide immunization registry (still operating successfully today) and an electronic information network for public health officials. Prior to his government service, Dr. Yasnoff spent many years in the private sector, including entrepreneurial businesses, initially as Vice President of Research for Cell Analysis Systems, Inc., where he developed the first PC-based commercial system for quantifying DNA content of cells on slides in 1986, and then as founder and CEO of his own company that developed image analysis solutions such as quantifying brain blood flow defects in SPECT scans. He later served as Medical Director of AMA/Net, the American Medical Association's first online electronic information system for physicians, developing and implementing the marketing plan that expanded the subscriber base tenfold to 40,000 in 60 days. He subsequently restarted the network as U.S. HealthLink, a publicprivate partnership in Oregon. He has done consulting work for a variety of commercial, academic, and government clients, addressing a wide range of health informatics challenges, including reviewing and evaluating hightech business plans and participating in site visits for Columbine Venture Partners. He received both his Ph.D. in computer science (pattern recognition and image analysis) and M.D. from Northwestern University, and completed an internal medicine internship at Rush-Presbyterian St. Luke's Medical Center in 1980. Dr. Yasnoff has been a faculty member for numerous informatics courses, is the author of over 350 scientific publications and presentations, and was elected a Fellow of the American College of Medical Informatics in 1989.